Amazing Adventures #4 features a new opening splash page with Marvel Girl's Danger Room session from X-Men #2 (November 1963). 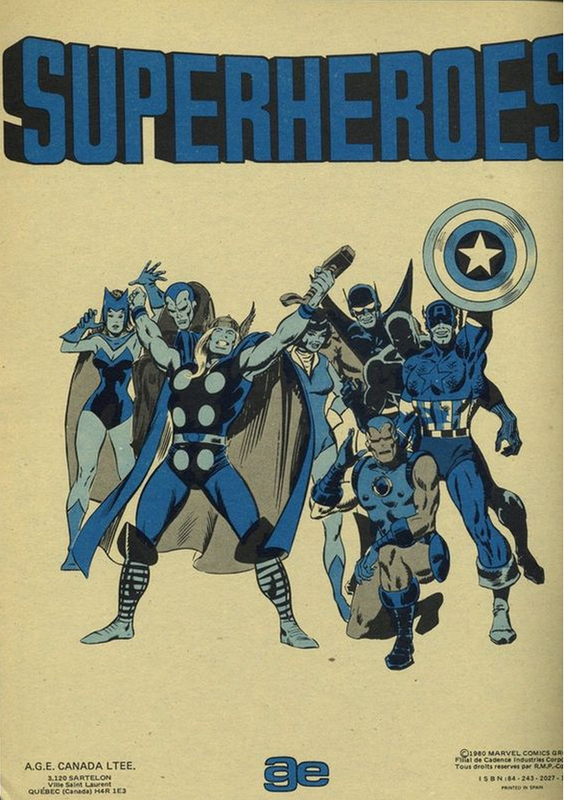 The artist is not listed in the credits of the reprint, but I would guess that it may be Al Milgrom who also did the new splash page for Amazing Adventures #2. 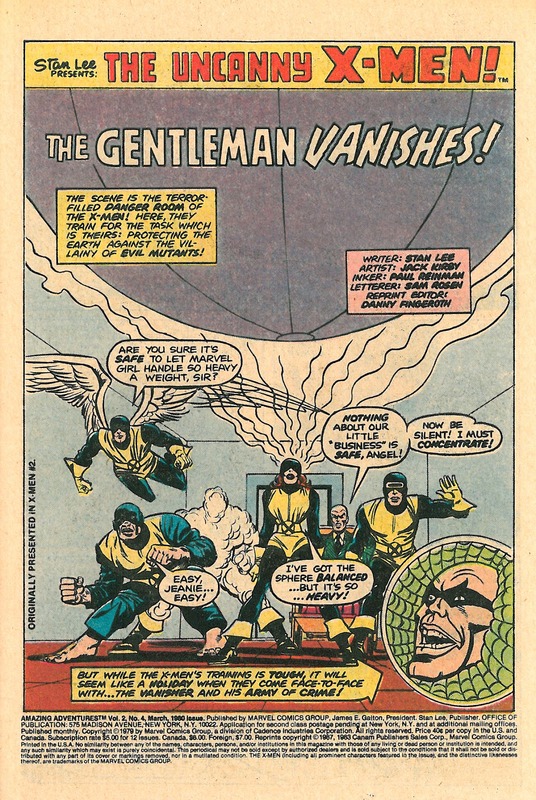 Synopsis: Amazing Adventures #4 reprints the second part of the X-Men's initial encounter with the Vanisher from X-Men #2 (November 1963) and the fourth part of the origin of Cyclops from X-Men #41 (February 1968). 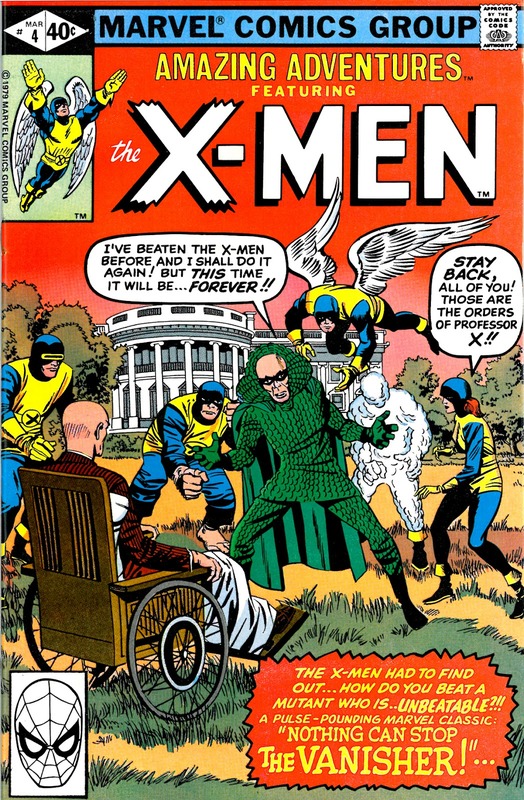 The reprint has the original cover art from X-Men #2 with the X-Men facing off against the Vanisher on the lawn of the White House. 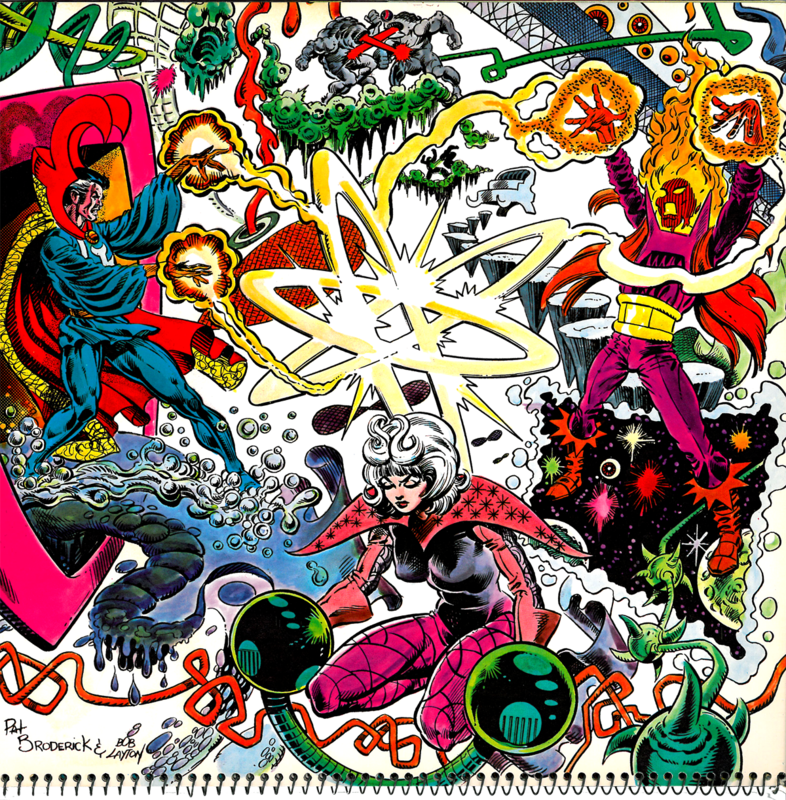 The reprint was completely re-colored from the original, including the change in the Vanisher's color scheme from his original red to green. 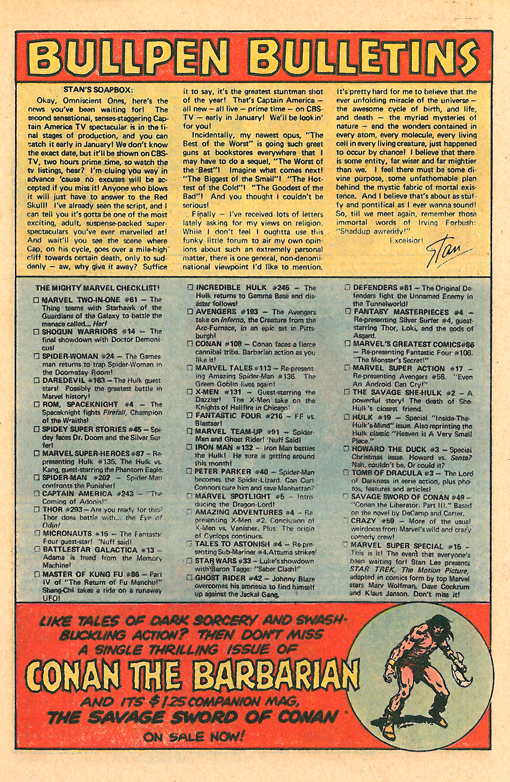 Marvel's Bullpen Bulletins page for March 1980 included Stan's Soapbox, The Mighty Marvel Checklist and a cool house ad for Conan The Barbarian. 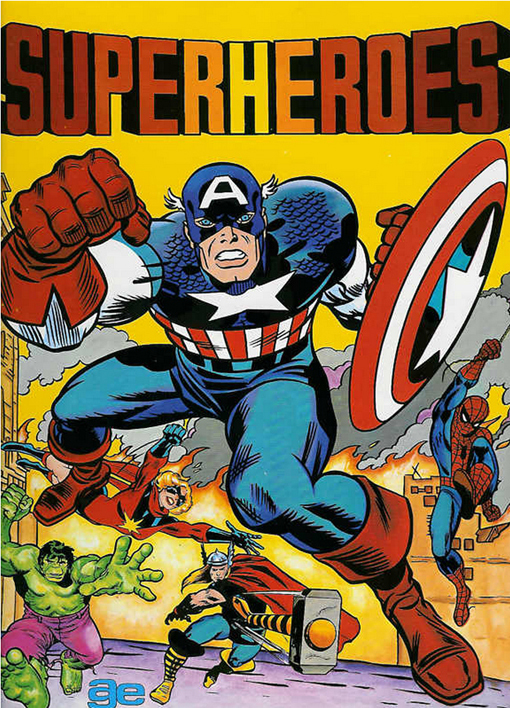 Stan Lee wrote about the second live action Captain America TV movie that was set to air on CBS. 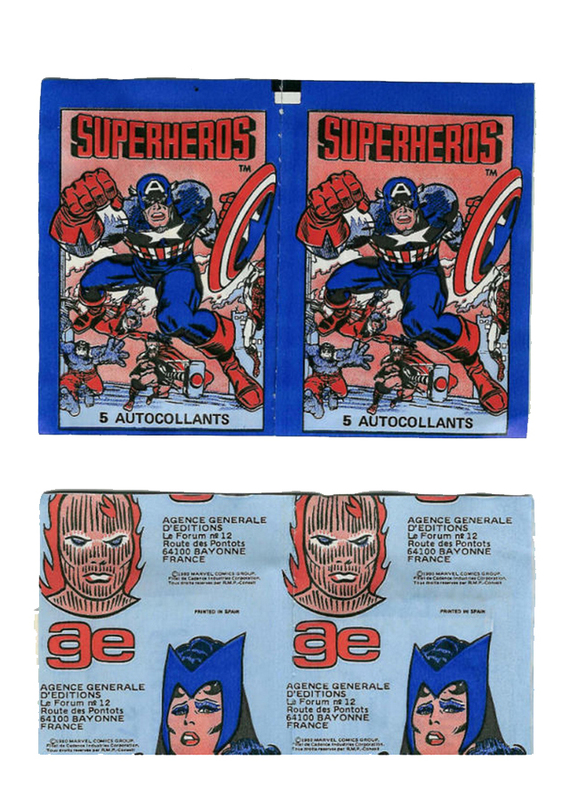 IMDB shows Captain America II: Death Too Soon as being released on November 23, 1979, so I wonder if Stan's promo came a bit too late. 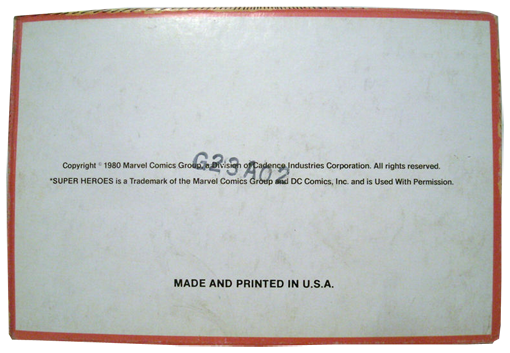 The Mighty Marvel Checklist is pretty much on target, but does include a few errors and omissions. For example, Crazy Magazine #59 was published in February 1980, so March would have seen issue #60. Howard the Duck Magazine #3 and Tomb of Dracula Magazine #3 are also both listed here when they were published in prior months. Reconciling this list with the Marvel titles that actually have a March 1980 cover date is a painstaking process and they're probably not 100% correct, but our checklists are definitely more accurate than Marvel's originals. Click on the scan below to see Bullpen Bulletins in high-definition! 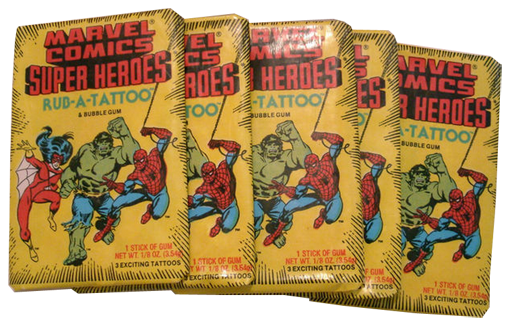 Marvel Published 36 comics and 5 magazines for a total of 41 issues in March 1980. Among the highlights of the month was the debut of Epic Illustrated, Marvel's answer to Heavy Metal that it had been hyping for almost a year. 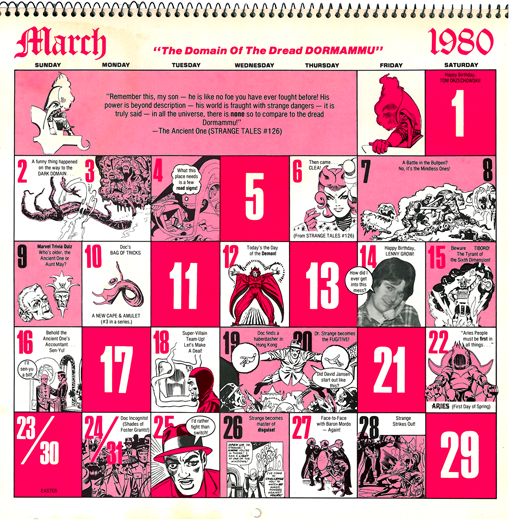 Another fantastic first in March 1980 was King Conan #1 as the House of Ideas released its third title featuring the Savage Cimmerian. Frank Miller returned to the pages of Daredevil with #163 after a one-issue hiatus, continuing his definitive run on the title that would lead to the Elektra Saga later in the year. The third installment of what would become known as the Dark Phoenix Saga continued in the pages of the Uncanny X-Men with issue #131. 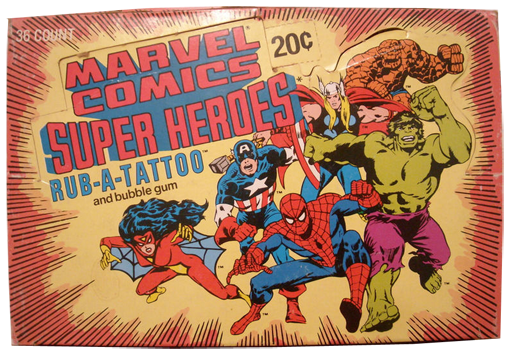 Marvel's titles dated March 1980 would have been on news stands in December 1979 based on the three-month advance dating convention, a fact that's supported by the "Now Playing In A Theater Near You" ads for the first Star Trek movie that opened December 9, 1979. 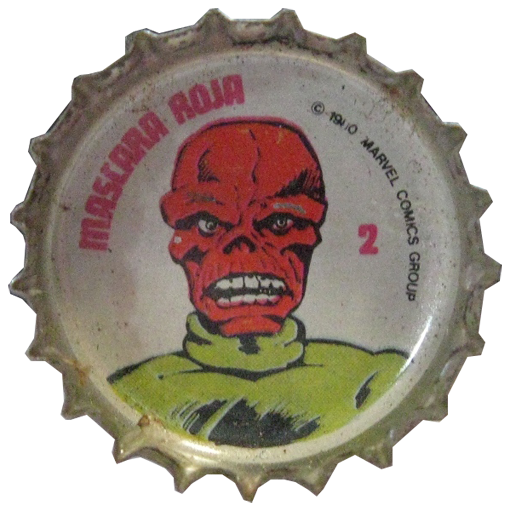 Keeping with the theme of Marvel's international licensing initiatives, I came across this vintage Pepsi bottle cap from Argentina on eBay while looking for Marvel ephemera from 1980. 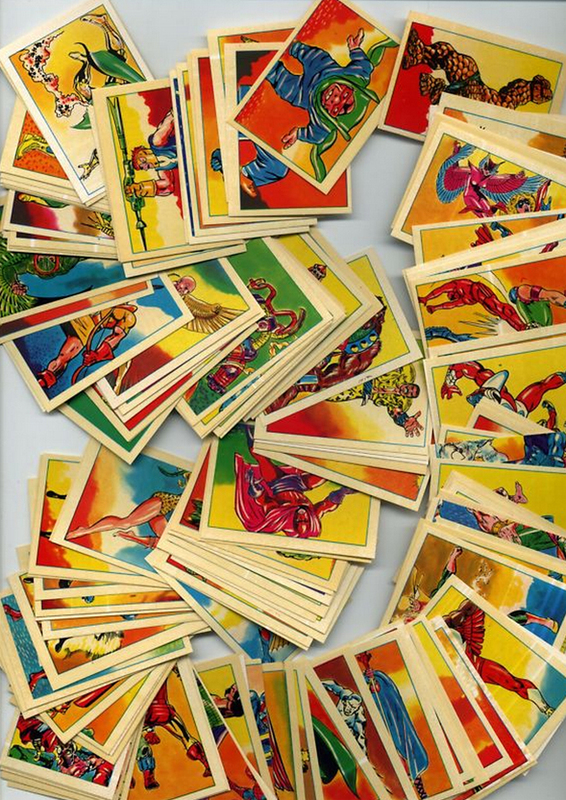 El Mascara Roja was probably a fearsome sight for Argentines who popped open their Pepsi bottles in 1980 - unless of course they were Nazi officers who escaped to Buenos Aires after World War II. 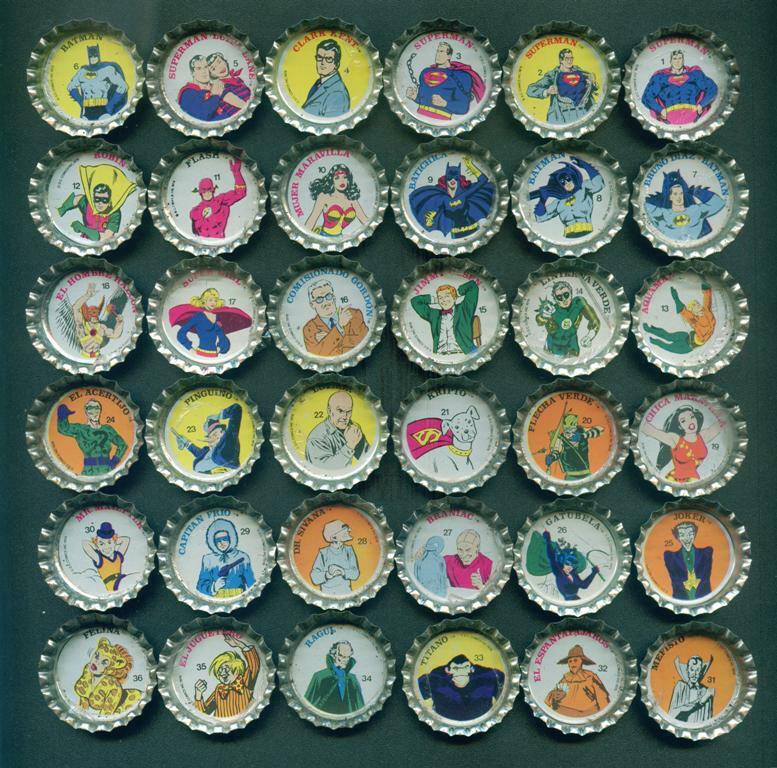 I'm not sure how many Marvel bottle caps were in this series, but Pepsi did a set of bottle caps with 36 DC characters in 1978, so there was likely a comparable set done with Marvel characters in 1980.